Developing positive peer relationships is important. 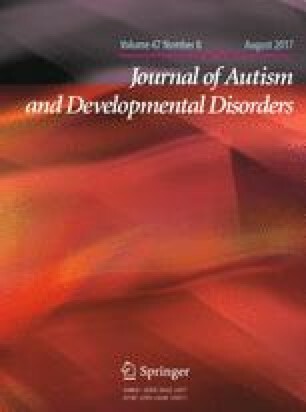 Unfortunately, due to challenges in social communication and increased complexity of peer groups during adolescence, many secondary students with autism spectrum disorder (ASD) engage in limited positive social interactions with peers. This study examined the effects of a peer network intervention implemented with three high school students with ASD. A multiple-baseline across participants design was used to evaluate the intervention on initiations and responses to and from students with ASD. The impact on frequency of victimization of students with ASD was also explored. Results indicate peer networks are effective at increasing social interactions of secondary students with ASD and provide preliminary support for the use of peer networks to reduce rates of bullying victimization. The work reported here was supported by the Organization for Autism Research, Graduate Research Grant. This study reports findings from a doctoral dissertation and was supported by three research assistants: Nelson Brunsting, Susan Hedges, and Evans Caison. MS conceived the study in collaboration with KH and HA. MS was the primary investigator and facilitated the intervention. MS and KH participated in the design and ongoing analysis and interpretation of the data. MS, KH, and HA helped to draft the manuscript. All authors approved the final manuscript. The work reported here was supported by the Organization for Autism Research, Graduate Research Grant.